NATA: National Athletic Trainers Assoc. SEATA: Southeast Athletic Trainers Assoc. 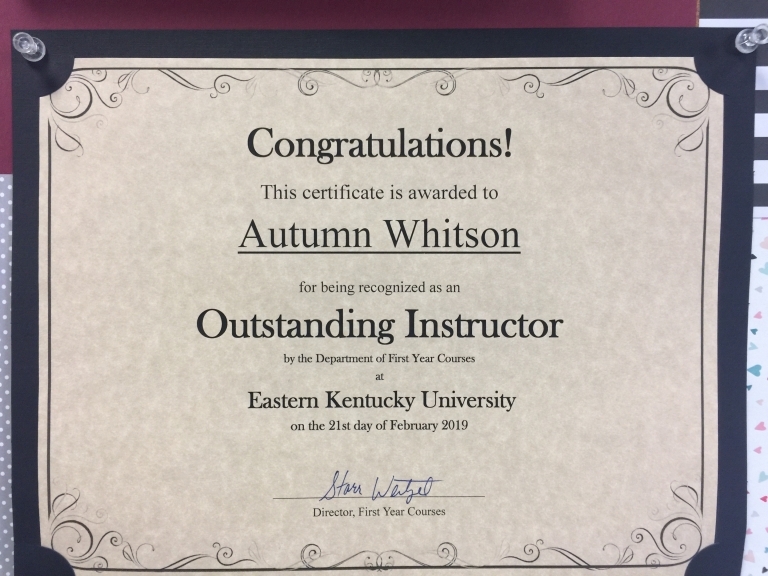 Autumn Whitson Nominated for First Year Courses Award!